This is an optional piece for today. 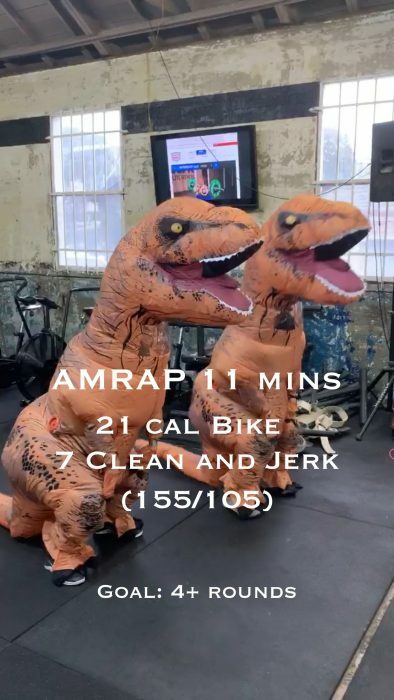 If you don’t have a bike you can sub out a row but this should be a strong pace also allowing you to get back on the barbell quickly to get the clean and jerks done. Some of you may be able to touch and go this weight and others will be looking to do quick singles. Do whatever makes sense to you to try to meet the goal rounds. Modify to a lower weight and fewer calories (17/15) if needed.